But thing is how to remember passwords and how to remember which password is for which service? You cannot remember all of your passwords because from now you should use passwords having combination of capital letters, small letters, numbers and some special characters. This combination will make a good and strong password. For your different accounts do not use different passwords like these 123456789 or 987654321 because they are too much simple. Now let me tell you that there are lots of password managers that can help you with this difficulty. You may think to write passwords in your PC by writing them to any text editor (notepad) or you may think to put passwords on a piece of paper. But remember this is not safe if someone uses your computer, he can also access your passwords file. If you have your passwords on some paper then what if you lose it or someone may see this too. In my opinion best method is to use some password manager. Download and install free password manager programs mentioned below and let those software remember passwords for you. This is freeware and it will help you to remember all of your different passwords. Put all of your passwords in one database and lock this database with a master password. Now you only have to remember one password or key file to unlock the whole database. These databases containing passwords are encrypted with best encryption algorithms that are currently present. Its best thing is that it is Open source (OSI certified). It is also open source so you can try this one also. It got 128-bit encryption with it that will help to encrypt your passwords so that no one can access them. It is certified by Softpedia and this software does not require internet connection. 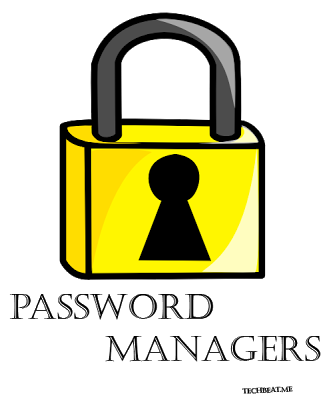 Your data is kept safe by encrypting it and storing it locally. Your data is not delivered to anywhere on web. It also got skin changing function so you can choose skin according to your taste. It can encrypt your data from 32 bits to 448 bits. KeyWallet support 4 different security levels. First level includes no protection except encryption. Second level ask password every time keywallet it started. If you are using third level your keywallet will ask you password every time you start it and every time you modify keys. Fourth option will get you full protection and ask for password every time you do anything even if you try to use your saved keys. This option ensures that no one can use your passwords if they don’t know master password. I called different security levels first, second and third etc but these are properly named in software. New browsers like Firefox and Google chrome could also be used to remember passwords. They offer you to save passwords when you sign in for any website. You can make free accounts with them so that they can synchronize your passwords with their servers that will help you to get your passwords on different devices.